How’s that BOM coming along? 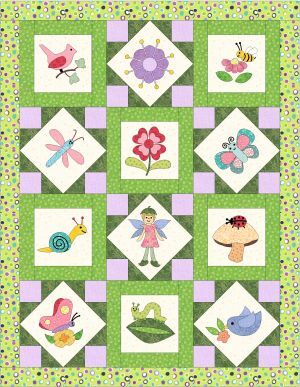 Have you started my latest block of the month, the Pixie Garden Quilt? This BOM has two different background blocks. In presenting the blocks each month, I alternate the two blocks so, upon finishing 3 months’ blocks, you can put them together into a row. A sort of instant gratification. 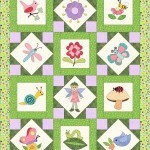 Sue in Wisconsin, along with 7 other online friends, has started her own Pixie Garden. 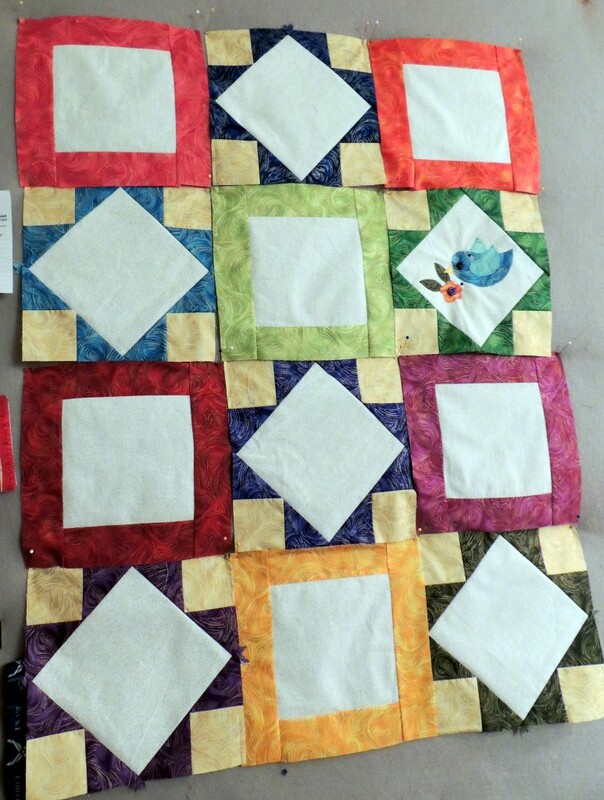 She assumed she could do all of the Block A’s first but by the second month, discovered that wasn’t going to work. So she went ahead and made all of the background blocks. Don’t they look great! I love the scrappy look and vibrant colors. She tells me, “I’m trying, in 2013 to use up some of my stash – what’s that joke? I’ve achieved S.A.B.L.E. status – Stash Accumulated Beyond Life Expectancy?” LOL! 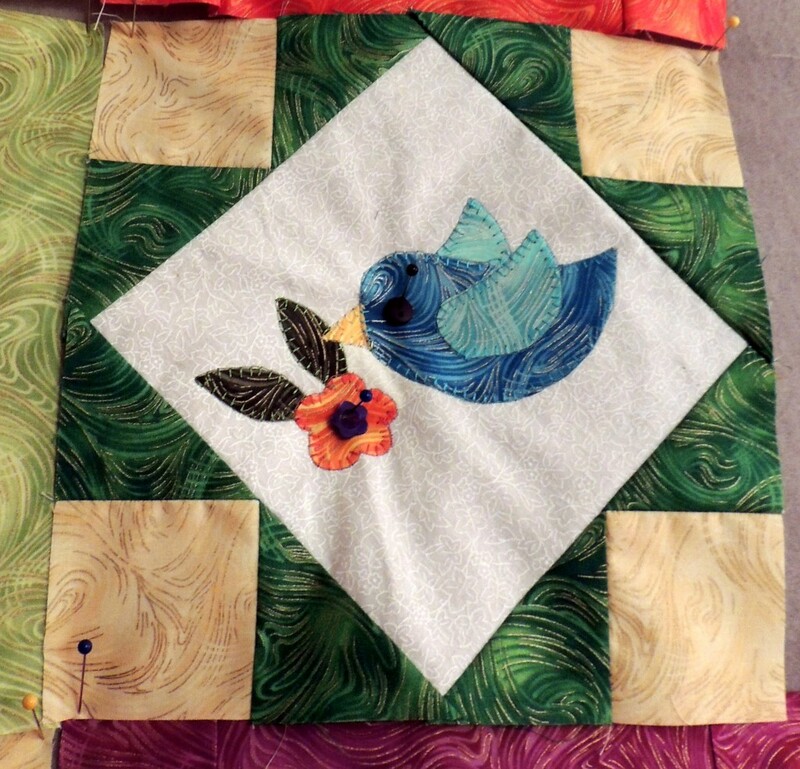 Her little blanket-stitched blue bird is so nicely done.